The incredible range of color emitting from FLIRTY`s dark aurora borealis gems is magical! Gold, green, fuchsia, orange, violet and all shades of pink. The outrageous oval pendant and its mini-version earrings are each framed by near-neon, fuchsia pink crystals. 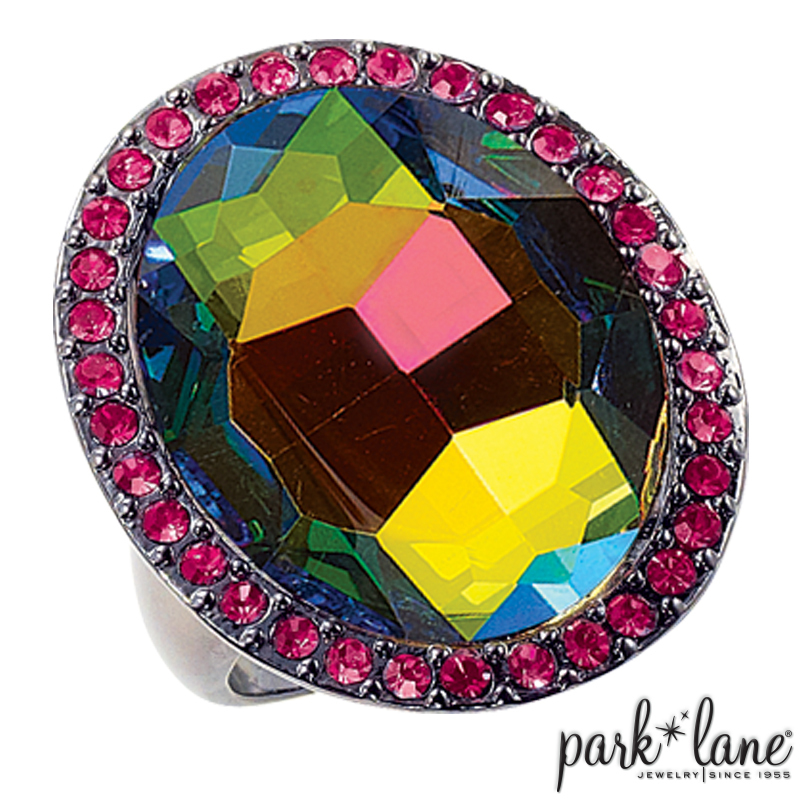 FLIRTY ring is a mega-watt, knuckle-to-knuckle gem! Necklace is 16 inches long plus a 3-inch extension. Pierced earrings are post-style. Ring is available in sizes 5-10. Hematite-colored plating. Sugar necklace, Rosette ring and Fairytale ring will coordinate with the Flirty ensemble.